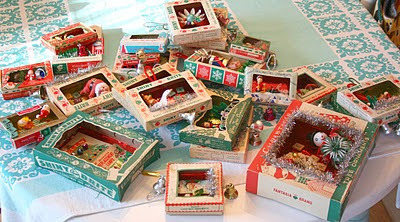 I burned the midnight oil last night and finally finished up making my vintage ornament box "dioramas" as I like to call them. I've got a large selection this year, from tiny to big. Now begins the arduous task of photographing them for listing but I will get it done and they should be available sometime this evening. I will be working on a new batch of wreaths this weekend too. We have in some boxes...YUMMY!! I was thinking of you yesterday when they came into the shop! One I took home with me! hehehe! I have so enjoyed your other blog (and shopping with you too!) 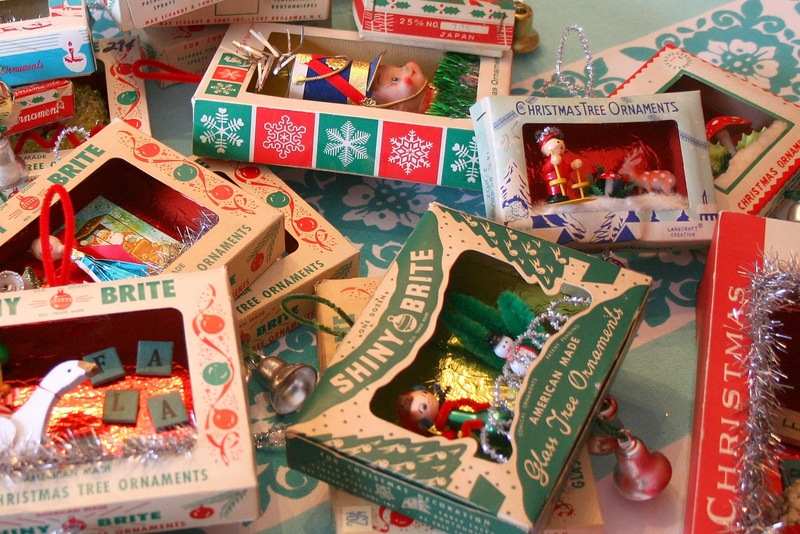 and I just wanted to tell you I love this new Wreath blog! 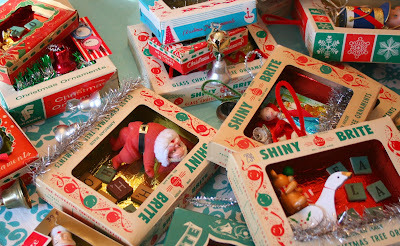 Like you, I love all the same vintage things but oh, the Christmas is the best! Thanks for sharing. What a cute idea! Love it and your wreaths! I've expressed my love for these before (because those boxes are just too cute to waste) but I just want to repeat for the 2010 season that you deserve a spot in the Crafting Hall of Fame for these. Vintage Ornament Boxes 2010 are Here!